BEAT is honoured to have Megan Torza of DTAH Studio host upcoming session on Monday, September 25th, 2017. 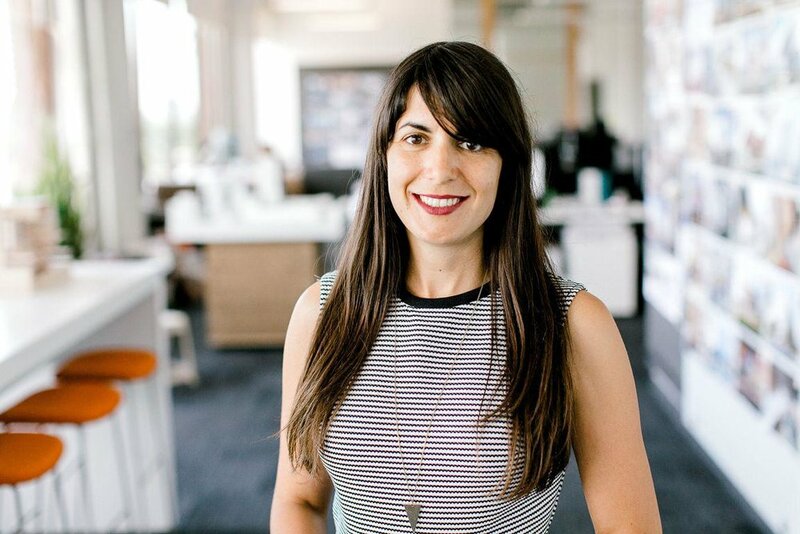 Megan Torza is an architect whose professional development has been influenced by a strong personal interest in adaptive re-use and the integration of contemporary architecture into historic urban fabric. She joined DTAH in 2006 and became a partner in 2012. Her approach is driven by the belief that architects are important servants of the public good, as demonstrated in a socially-minded, contextually-sensitive portfolio which includes the development and implementation of two of Toronto’s most beloved destinations: the Artscape Wychwood Barns and the Evergreen Brick Works. She has completed numerous institutional, mixed-use and housing projects for public and private-sector clients, as well as designed multiple integrated landscape pavilions. With a background in art and architectural history, Megan has taught the history of Contemporary Architecture at the University of Toronto, and is a frequent guest lecturer and design critic at the University of Waterloo and Ryerson University. She is a member and vice-chair of the City of Vaughan Urban Design Review Panel and vice-chair of the Toronto Society of Architects. Limited space for event. Tickets are available on Friday Sept 15th at noon. BEAT is honoured to have Maria Denegri of Denegri Bessai Studio host upcoming session on Monday, July 24, 2017. Denegri Bessai Studio was established in 2013 by partners Tom Bessai and Maria Denegri. The studio is built upon a rich history of collaboration. The work has won numerous design awards, and has appeared in a range of local and international publications including Toronto Life, the Globe and Mail, Canadian Architect, Azure and Plan Magazine. Projects in the studio are carefully developed through an iterative design process that combines experimental research with engaged client consultation. Extensive material testing and prototyping is a constant factor in the design work of the studio and is accomplished through the use of state-of-the art computation and fabrication techniques. This experimental practice model is supported and enhanced through teaching and research at the Daniels Faculty of Architecture at the University of Toronto alongside allied partners in academia and industry. Maria Denegri holds a Master of Architecture and Urban Design from the UPC, Barcelona and a Bachelor of Architecture degree from the University of British Columbia. Before founding DB Studio, she worked with diverse architectural practices in Vancouver, Barcelona, Los Angeles and Toronto. Maria‘s design work and research integrate innovative sustainable solutions. Maria has been an adjunct faculty member at the John H. Daniels Faculty of Architecture since 2002. Between 2008 and 2016, she coordinated the Daniels Faculty Global Architecture Program in Buenos Aires, Argentina. Sydney Browne (Principal) and Peggy Theodore (Senior Associate) will host this exciting BEAT Talk Event. We welcome everyone’s questions/topics in advance to structure and focus a meaningful conversation about careers in a large architectural practice. Diamond Schmitt Architects (www.dsai.ca) is a leading architectural studio based in Toronto with an international reputation for design excellence. The company is rated among the top 100 architecture firms in the world by Building Design (UK), which also ranks the studio among the world’s top ten in the cultural sector. Our extensive portfolio comprises academic buildings, libraries, performing arts centers, residential and commercial properties, life science facilities, research laboratories and hospitals. We have been recognized with more than 250 awards for design, including seven Governor General’s Medals for Architecture, American Institute of Architects (AIA), Royal Architectural Institute of Canada (RAIC), Civic Trust Awards, and Architectural Record’s Good Design is Good Business Awards. Diamond Schmitt is recognized as a great place to work. We are among Canada’s Top 100 Employers, Canada’s Greenest Employers and Canada’s Best Managed Companies. We strive to create a culture that supports both an enriching work environment and personal growth. Diamond Schmitt is made up of close to 200 architects, interior designers and administrative staff, working from offices in Toronto, Vancouver and New York. While the complete office cohort provides a depth of experience that informs all of our work, projects are typically undertaken by smaller closely-knit teams which develop each project from design through construction. Our studio currently has 69 projects in design and 38 projects in construction across Canada and abroad. These include the new David Geffen Hall for the New York Philharmonic at Lincoln Center in New York City; the National Arts Centre transformation in Ottawa; the new campus of Emily Carr University of Art and Design in Vancouver; and the master plan and buildings for Canada’s largest urban development, Vaughan Metropolitan Centre. Limited space for event. Tickets available on Friday May 19 at Noon. Please have a discussion topic prepared when completing Eventbrite RSVP. Moriyama & Teshima Architects (MTA) is a team of architects, planners and designers collaborating with visionary clients to build inspiring and enduring spaces that transform communities and reinforce civic identity. The office offers services in architecture, master planning and urban design, interior design and program development. The firm’s extensive portfolio of Canadian and international projects comprises museums and art galleries, university buildings, schools, corporate and government headquarters, recreational facilities, libraries, restoration and renovation projects, and urban/campus planning. Under the leadership of Jason Moriyama, Diarmuid Nash, Daniel Teramura, Carol Phillips, and Brian Rudy, MTA has cultivated a dynamic team of young, innovative designers around a long-standing core of design traditions that continue to define the practice. The studio is made up of individuals who reflect the cultural diversity that defines our global present: a combination of industry leaders and young designers working together to design and deliver exceptional projects. MTA’s designs are rooted in collaborative processes that approach challenges and solutions holistically, working at all times to integrate site, building, context and a plurality of perspectives into a built reality we can all be proud of. Carol is a Partner at Moriyama & Teshima Architects, having led some of the firm’s most valued civic, cultural and educational buildings. She brings a passionate drive for powerful and graceful architectural solutions developed over 20 years of working in Canada and abroad. Carol immediately distinguished herself upon arrival at MTA with her first completed project, the award-winning Multi-faith Centre at the University of Toronto. This centre continues to serve diverse communities with grace, accommodating inclusivity and intercultural understanding – underlying principles that inform all of Carol’s projects. Carol’s civic experience includes Surrey City Hall and Plaza, the Guelph Civic Administration Complex, and Ottawa’s new Parliament Hill Visitor Welcome Centre which is under construction. Her projects in downtown Toronto include the Toronto Reference Library Revitalization, Goldring Student Centre at University of Toronto, and the upcoming Ryerson Centre for Redevelopment and Urban Innovation. Carol is currently an Architectural Design Lead on one of four shortlisted teams for the Etobicoke Civic Centre Design Competition. Additionally, Carol is known for her exceptional presentation skills and her ability to gain broad support for her projects, promoting designs to stakeholders in ways that result in wide-scale consensus. A Fellow of the Royal Architectural Institute of Canada, Carol’s complete design and collaborative skills allow her to drive and lead every phase of a building project. Her exceptional and versatile design leadership drives the vision for designs of varying building programmes, reinforcing the principles of generous, inspiring spaces that serve their communities. BEAT is proud to announce that the upcoming session of Mentorship Mondays will be hosted by Marianne McKenna and Shirley Blumberg of KPMB Architects on the evening of February 27, 2017. The objective of the event is to provide a platform for dialogue, networking and mentorship while supporting and advancing equality within the Architecture profession. Shirley Blumberg is a Member of the Order of Canada “for her contributions to architecture and for her commitment to creating spaces that foster a sense of community.” Her portfolio ranges from mixed-use developments to highly specialized cultural and academic institutions, many with a focus on revitalizing heritage contexts. Shirley’s projects include the James Stewart Centre for Mathematics at McMaster University and the CIGI Campus in Waterloo, both winners of AIA Honor Awards. She played a role in Toronto’s Cultural Renaissance as the partner-in-charge of Canada’s National Ballet School, the Gardiner Museum, and the TIFF Bell Lightbox. Shirley is currently KPMB’s partner-in-charge for the Remai Modern Art Gallery of Saskatchewan, Toronto Community Housing, Princeton University, the University of Pennsylvania and the University of Toronto. She was the design partner for UBC’s new Robert H. Lee Alumni Centre and Ponderosa Commons a prototypical mixed-use campus development. Shirley is a member of the Toronto Community Housing Design Review Panel, and has served on the City of Toronto Design Review Panel. 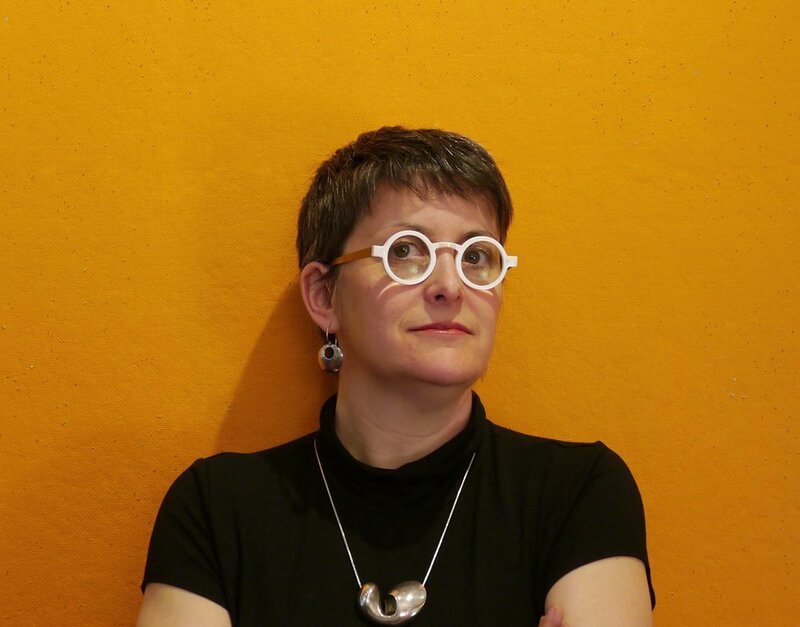 She also established Building Equality in Architecture Toronto (BEAT), an independent initiative dedicated to the promotion of equality in the profession of Architecture. Marianne McKenna is an invested Officer of the Order of Canada, and in 2013, she was recognized as one of the 50 most powerful people in Canada by Maclean’s magazine. Marianne offers diverse experience in a range of project typologies, inclusive of spaces for higher education, workplace interiors, hospitality and master planning. She has completed projects for the University of Toronto, McGill University, Concordia University, Torys LLP, and Goldman Sachs. For the past 20 years, Marianne’s special focus has been the architecture of concert halls and how design is used to engage community. Projects include the Orchestra Hall Renewal for the Minnesota Orchestra and Toronto’s Royal Conservatory TELUS Centre for Performance and Learning, including the renowned Koerner Hall. In 2011, Marianne was made an Honorary Fellow of The Royal Conservatory. Current projects include an expansion and renovation of iconic Massey Hall, the Kellogg School of Management, the workplace strategy for The Globe and Mail offices, and an expansion for The Brearley School in New York City. Marianne is the Norman R. Foster Visiting Professor at the Yale School of Architecture and sits on the Board of Directors for Metrolinx, a provincial agency charged with improving transportation in the Greater Toronto area. KPMB Architects is an award winning, internationally recognized Canadian practice. It is notable for its unique hybrid form of architecture and practice, developed to respond to our multi-cultural, dynamically changing world. This is manifested in the diversity of the portfolio for culture, education, healthcare and paradigm shifting climate responsive design. Every project is conceived to support an essential belief in the power of architecture to influence civil and moral conditions. The firm comprises a deep pool of highly talented women and men who together form dynamic integrated design teams to ensure every design solution balances vision and pragmatism, environmentally responsible design and architectural excellence. KPMB has over 250 awards. The founding partners, Bruce Kuwabara, Marianne McKenna, and Shirley Blumberg are each recipients of the Order of Canada for their contribution to Canadian culture and society. Their approach prioritizes integrated design thinking, and the making of architecture of the highest quality in a manner that supports everything our clients wish to achieve – socially, functionally, financially, aesthetically, and environmentally. The diversification of the practice is also demonstrated by projects in healthcare, urban development, and high performance sustainability design. Recently Bridgepoint Health, a new model for preventative care, received the 2016 the Governor General’s Medals in Architecture and Manitoba Hydro Place in Winnipeg continues to reign as one of the world’s 10 most sustainable buildings. BEAT is honoured that the forthcoming session of Mentorship Mondays will be hosted by Betsy Williamson, Sonia Ramundi and Dimitra Papantonis from the design studio Williamson Williamson on the evening of Monday November 14, 2016. The objective of the event is to provide a platform for dialogue, networking and mentorship while supporting and advancing equality within the Architecture profession. Invitations are open to those at different points in their careers and to those practicing or pursuing various forms of design. Limited space available. Betsy Williamson is a partner with Shane Williamson in the architectural design studio of Williamson Williamson, experienced architects and academics committed to using both built and unbuilt work as vehicles to explore diverse agendas associated with research and practice. Their design approach privileges specificities of context, materials research, economies of construction, building performance, and client-based collaboration. Betsy is a registered architect with the Ontario Association of Architects and a Fellow of the Royal Architectural Institute of Canada (RAIC). 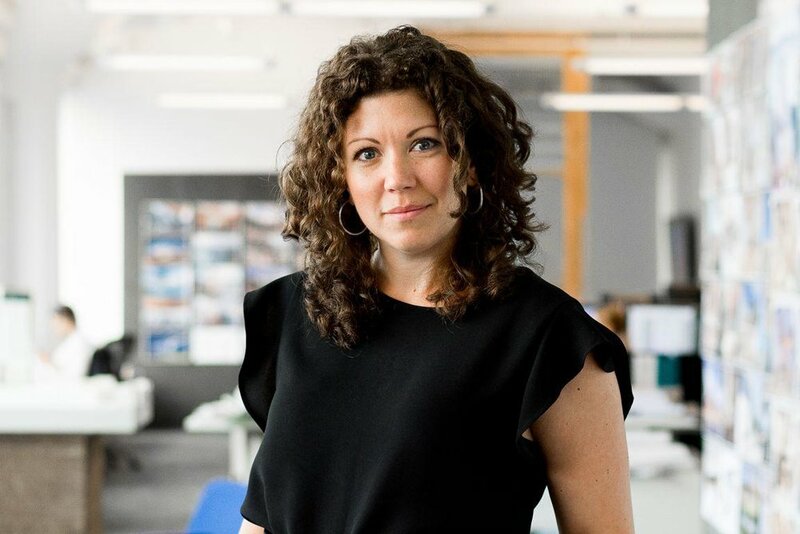 Through her years of experience in small award winning design firms, Betsy brings to the office her enthusiastic commitment to architectural practice and high quality design. She has developed expertise in detail clarity and creative solutions balanced by focused project management skills. Betsy received a Master of Architecture from Harvard University and a Bachelor of Arts with Honors in Architecture from Barnard College. Her office's work has been awarded the prestigious 2014 Emerging Architectural Practice Award by the Royal Architectural Institute of Canada and the 2014 Emerging Voices Award by the Architectural League of New York. Betsy was also named a finalist for the Architects' Journal 2015 Emerging Woman Architect of the Year Award. In its early days WWInc. was awarded the Ronald J. Thom Award for Early Design Achievement from the Canada Council for the Arts and won the Canadian Prix de Rome for their research in the field of innovative wood construction. Betsy continues to foster her commitment to engaging the city in a greater capacity through volunteer work on a number of boards and committees. As a member of the Waterfront Toronto Design Review Panel, she actively contributes to a culture of quality at an urban scale by signaling that high quality design is a critical consideration for the development of Toronto's waterfront and the city. 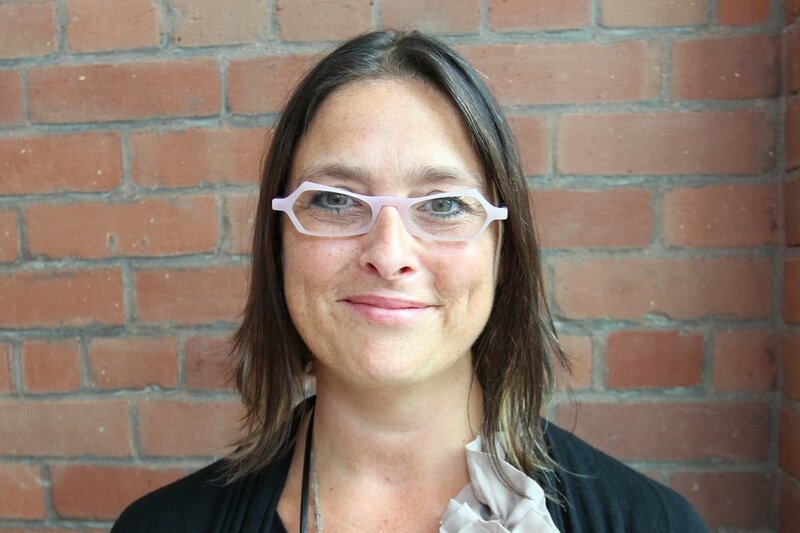 Her work with the RAIC's Age Friendly Housing Task Force addresses the responsibility of the architectural profession to create design solutions that assist older individuals to live well and safely in their community of choice. WWInc. has engaged this subject directly over the years, having done a number of multi-generational homes on small lots in Toronto that have allowed families to address this important issue. Sonia received her Honours Bachelor of Arts Degree with High Distinction from the University of Toronto with a double major in Architecture and Fine Art History, and a minor in Visual Studies. She received her professional architecture degree from the same institution where she won various design awards and the Royal Architectural Institute of Canada Student Medal. Sonia is a registered Intern Architect with the Ontario Association of Architects. Prior to joining Williamson Williamson Inc. Sonia worked in offices in Los Angeles and Toronto as a project designer on various institutional projects as well as award winning high-end interiors and residential projects. 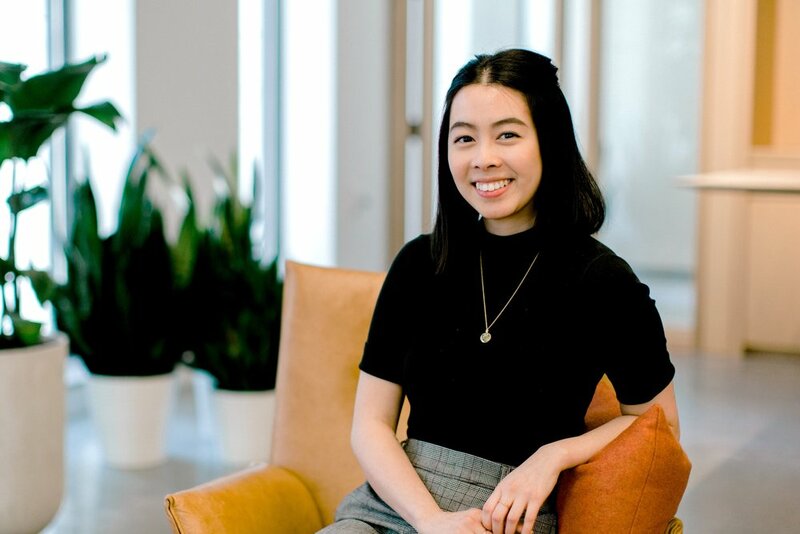 Since joining WW Inc. in 2015, she has worked on master planning, retail and residential projects, and is currently working on a mixed-use new build in one of Toronto's rapidly changing neighbourhoods. BEAT is proud to announce that the upcoming session of Mentorship Mondays will be hosted byBrigitte Shim, Monica Leung and Roxane Bejjany of Shim-Sutcliff Architects on the evening of October 3, 2016. The objective of the event is to provide a platform for dialogue, networking and mentorship while supporting and advancing equality within the Architecture profession. Brigitte Shim and A. Howard Sutcliffe are both principals in the design firmShim-Sutcliffe Architects. Brigitte Shim is also a Professor at the John H. Daniels Faculty of Architecture, Landscape and Design at the University of Toronto. Shim-Sutcliffe’s work straddles public and private commissions for sacred spaces, public parks and landscapes as well as institutional and residential projects. Their projects small and large are engaged in the human intensification of our urban centres and also rethinking ways of building in the Canadian landscape. Shim-Sutcliffe has redefined design practice by intertwining light, water and landscape in exploratory and innovative ways.Shim-Sutcliffe’s built work explores the integration and interrelated scales of architecture, landscape and furniture and fittings. To date, Shim and Sutcliffe have received fourteen Governor General’s Medals and Awards for Architecture from the Royal Architectural Institute of Canada and an American Institute of Architects National Honor Award along with many other professional accolades for their built work ranging from projects for non-profit groups to public and private clients. Brigitte Shim is an architect and founding partner in the Toronto based design firm Shim-Sutcliffe Architects and she is also a Professor at the John H. Daniels Faculty of Architecture, Landscape and Design at the University of Toronto. She was born in Kingston Jamaica and graduated from the University of Waterloo School of Architecture with a Bachelor of Architecture and Environmental Design. Professor Shim has been engaged in core design studios, advanced design studios as well as teaching courses in the History and Theory of Landscape Architecture at the University of Toronto. She has also been a visiting professor at Yale University’s School of Architecture, Harvard University’s Graduate School of Design, the University of Auckland’s National Institute for Creative Arts and Industries, the Ecole Polytechnique Federale de Lausanne and others. In January 2013, Brigitte Shim and her partner Howard Sutcliffe were both awarded the Order of Canada, “for their contributions as architects designing sophisticated structures that represent the best of Canadian design to the world.” along with the Queen Elizabeth II Diamond Jubilee Medal. Monica Leung is an architect at Shim-Sutcliffe Architects and has been part of the team since 2011. She received her Masters of Architecture at Dalhousie University. Prior to joining Shim-Sutcliffe, she worked at Herzog and De Meuron in Basel. Since 2011, she has also been the project manager for a private residential project with multiple buildings in a mature forest site on the outskirt of Moscow. Ms. Leung has been the project manager for a Retreat Conference Centre for the Skolkovo Innovation Centre in Moscow. In 2014, Ms. Leung was also the project manager for the Wong Dai Sin Taoist Temple in Toronto. This sacred space utilizes two asymmetrical cantilevers to support a worship space. This project recently received a 2016 Governor General’s Medal for Architecture from the Royal Architectural Institute of Canada and the Canada Council for the Arts. Roxane Bejjany is an intern architect with a Masters of Architecture degree from the Daniels School of Architecture, Landscape and Design at the University of Toronto. Ms. Bejjany has been at Shim-Sutcliffe Architects since graduating in 2014 working on various projects. She has been involved in the early stages of projects of various scales, including the Atherley Narrows Pedestrian Bridge. Most recently, she has led the renovations of a professor’s office suite at Massey College at the University of Toronto. Dr. Shelagh McCartney will be hosting this month’s session at the School of Urban and Regional Planning at Ryerson University on the evening of September 12, 2016. Invitations are open to those at different points in their careers and to those practicing or pursuing various forms of design. Limited space available. Dr. Shelagh McCartney is a licenced architect and urbanist with a specialization in community development and housing. Dr. McCartney received her Bachelor of Environmental Studies and Bachelor of Professional Architecture degrees from the University of Waterloo, before attending Harvard University where she received a Master’s in Design Studies with Distinction concentrating on Urban Development and Housing, and a Doctorate of Design. As a Fulbright scholar at Harvard, Dr. McCartney’s research focused on exploring community-based housing solutions for American Indigenous people and comparing American and Canadian Housing policies. Other research interests have included informal settlement morphology, and the effect of land policy on housing development in both North America and the global south. Dr. McCartney has held teaching positions at the University of Waterloo, University of Toronto, Carleton University as Co-ordinator of the Urbanism Program and Harvard University. Now, as an assistant professor at Ryerson University’s School of Urban and Regional Planning, Dr. McCartney is committed to innovative teaching, developing within students a sense of responsibility and social-awareness, encouraging students to explore creative design solutions to the problems facing their world. 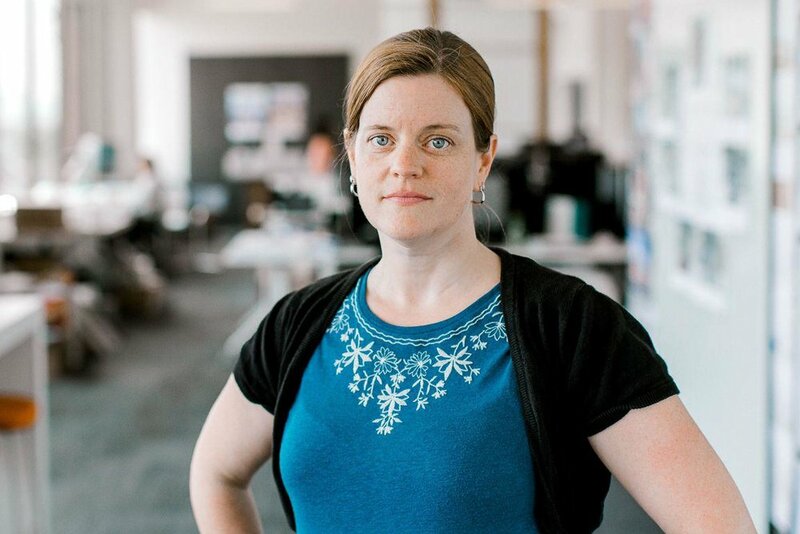 Outside of academic research, Dr. McCartney has practiced privately across the globe, leading teams in projects requiring extensive community consultation, and as part of a team or individually she has secured wins or mentions in four international competitions as well as over twenty Canadian design awards in the past ten years. In 2012, she founded +city lab, an innovative research and design practice exploring platforms that focus on contemporary, interdisciplinary approaches to city and open territory design. Through scholarly and applied research +city lab uses design and planning as a research vehicle to pose and explore alternative urbanisms that address the broader social contexts of a project. Shelagh McCartney lives in Roncesvalles-High Park in Toronto with her husband and their two young daughters. When not designing like she gives a damn, McCartney loves to bike with her family through Toronto’s diverse neighbourhoods and seek new moments and tastes. BEAT is excited to announce the launch of Mentorship Mondays! We are working in collaboration with local Architects to provide unique networking opportunities for supporting and advancing equality within the Architecture profession. Our kick-off event will be held at the design firm gh3 and hosted by Principal Pat Hanson on the evening of July 11th, 2016. Invitations are open to those at different points in their careers and to those practicing or pursuing various forms of design.